An innovative housing development is set to get underway in Dunedin, Florida that will see the creation of the first affordable LEED Certified Net Zero Energy townhome development in the US. 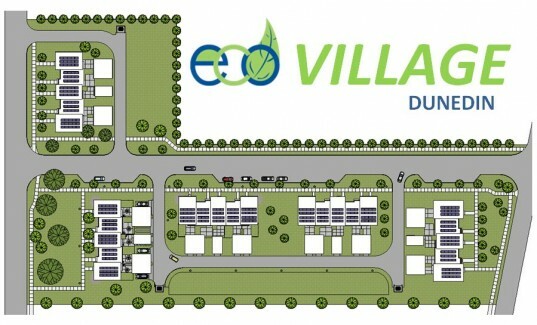 The Eco-Village will consist of 25 townhomes, all of which are designed and engineered to maximize energy efficiency. Developer Planet Green Group aims to make eco-friendly as well as affordable. The aim of the project is to provide affordable homes for everyone, but especially ‘Hometown Heroes’ such as police officers, firefighters, nurses, teachers, veterans and other professionals. Each LEED-certified, Net Zero Energy home will be priced as low as $600 per month, making them ultra-affordable. 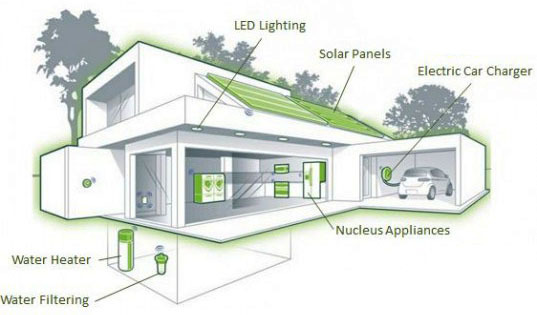 The homes themselves have been designed to combine building science and high-performance products with the ability for homeowners to monitor energy consumption. They’re designed to reduce overall household energy use, CO2 emissions, indoor water consumption, and reduce associated energy costs. The homes’ many features include a state-of-the-art solar system that converts sunshine into electricity and eliminates any electric costs. Others include power-saving appliances, LED lighting and home energy management systems to allow homeowners to better understand home energy use and monitor energy consumption. Questions from 2012 and 2013 have never been answered. Is this project alive? I hope so, as I'm very interested. Please give us an update. Thanks! ..only shared housing or also shared activities (es. social programs, spiritual events, ecological education, mutual support activities, etc.) ? Fantastic! Can anyone live there? Are pets allowed? Are there condo fees? I NEED DETAILS! I am soooooooooo ready to be somewhere GREEN! I love St. Pete dearly, but would consider moving to Dunedin if I could live in a green project like this.